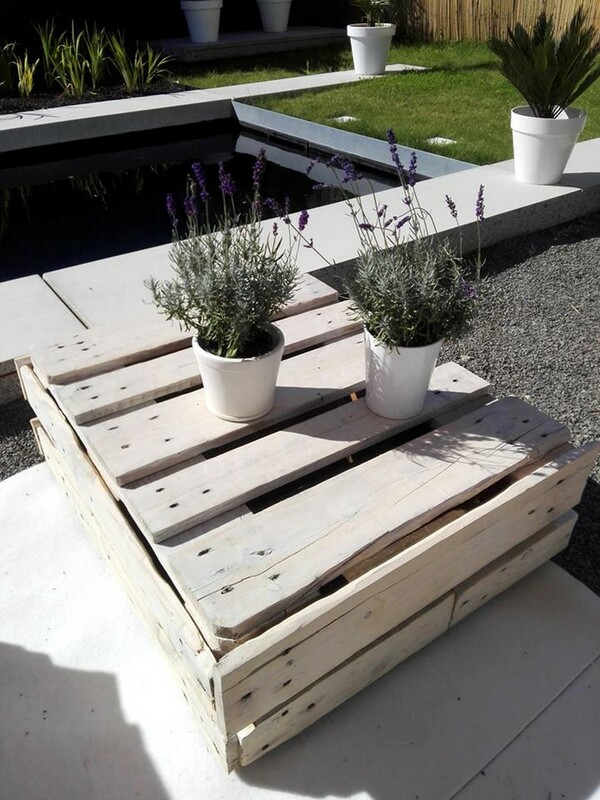 To maintain the status of this commendable platform of wood pallet recycling, we have taken so many measures. This was obviously a long and tiring journey but whenever we felt tired and getting stuck, your feedback was a remedy to cure the condition. 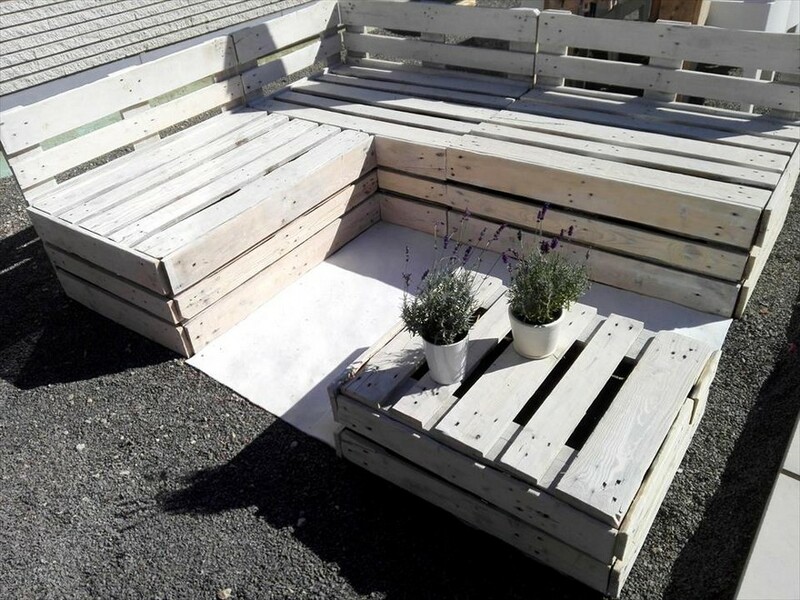 Throughout the website we have categorized different wood pallet furniture items just for your ease, so that you guys could easily filter your search and get what exactly you were looking for. Here again we have come up with the outdoor furniture that was made for the garden of yours. I hope you guys would like it. 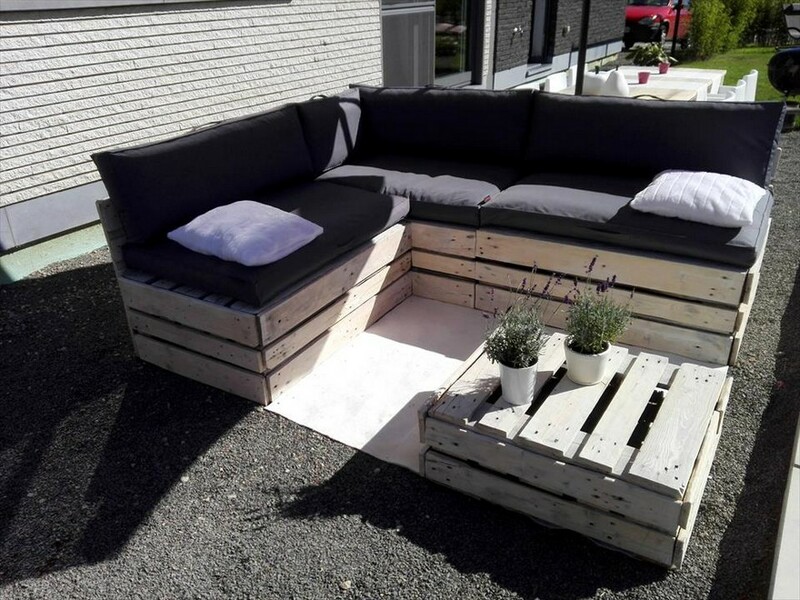 This is basically a wide spread huge and gigantic wooden pallet couch along with a matching wood pallet coffee table. 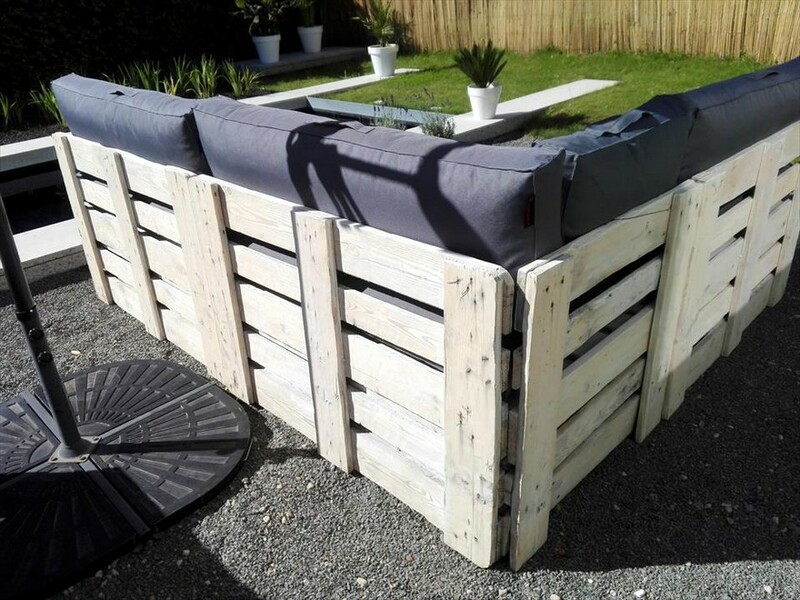 As this was meant to be placed in the green landscape that is prepared with great effort so this was supposed to be a finely designed and presented wooden pallet furniture item. 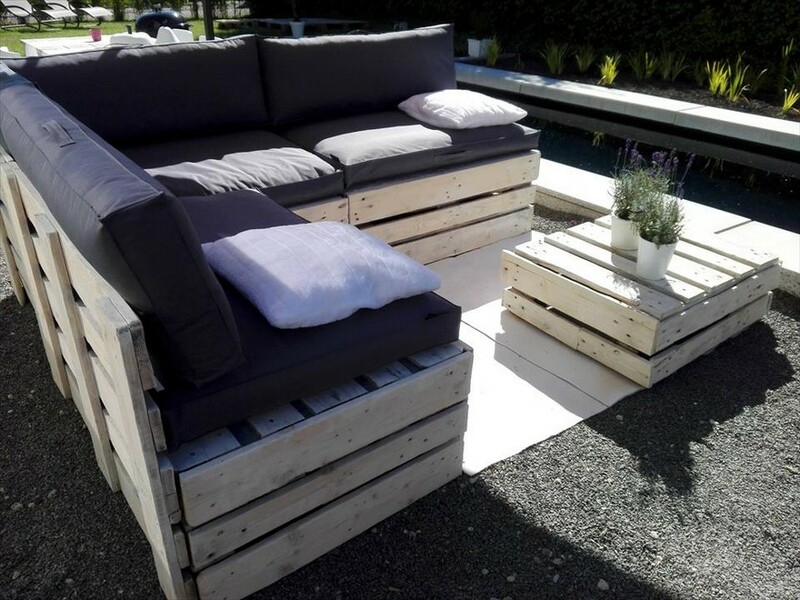 Have a look on the entire long back of the pallet wooden couch. Seeing from this angle we can easily figure out that some average shipping pallets were used here in the entire structure. But that doesn’t make a difference as we have taken the best care of finishing, sanding and staining ultimately. 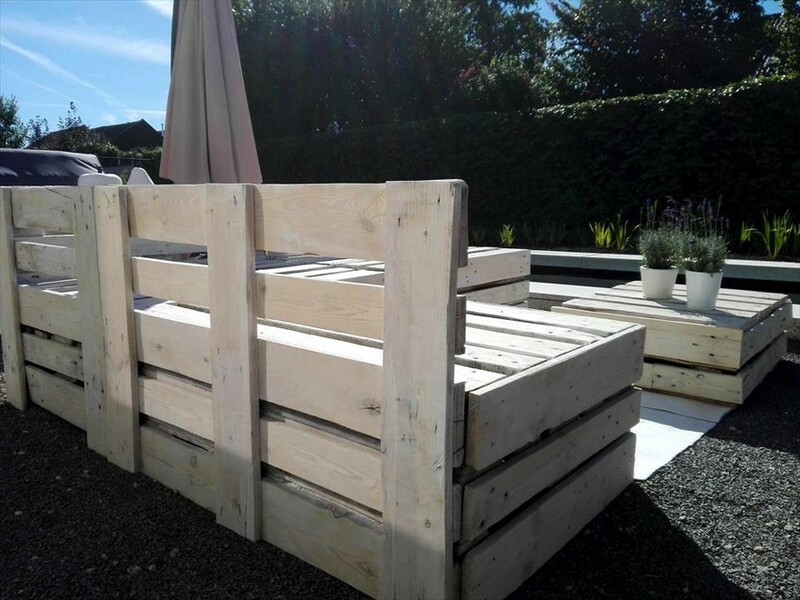 This is the front of the pallet wood repurposed furniture range that is especially prepared to be placed in the garden. It has got some extra large sitting spaces, while the back is also reasonably good. So overall an appreciable furniture range. Lastly we are paying attention to the coffee table that is probably going to be the most prominent item as the couch would be covered with the mattresses and cushions but this one is going to stay naked. Despite of nail scars this looks quite acceptable rather gorgeous I would say.